So if you came here from the Blog Blitz: thank you so, so much for visiting, and for all your wonderful notes. I am steadily working my way through them, and will be on cloud nine million for days to come. You guys are AMAZING. 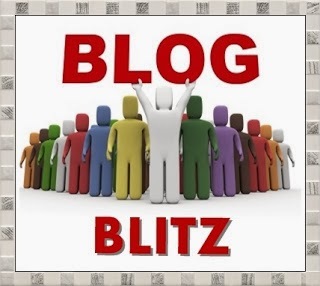 Conversely, if you are wondering what the merry hell a Blog Blitz is... you are not alone, because I didn't either! Here is the deal: the gentleman-scholar DL Hammons, not content with ringmastering WRiTE Club, also devised a wonderful blogging group, subscribable by email, in which everyone dog-piles on a single participant's blog. The result is catastrophically awesome. You are a celebrity for a day! Traffic through the roof! Comments out the yang! And really a heck of a good deal: even apart from that one magical day when you are so ecstatically piled-upon, you are visiting other people's blogs as a pile-ee, and subscribing to those you find fun and interesting. It's a great way to meet new people, broaden your horizons, and be an integral part of somebody's joy, every time you comment. So if that sounds like even a little bit of fun... sign up and get your Blitz on! And on a personal note - I was truly blown away by the comments on the last post. In fact, there is material for about twenty different conversations there, and more amazing (and sometimes gut-wrenching) anecdotes than any one post can do justice to. When it comes to charity, why DO we do what we do, and think like we think? Well, based on some of the responses from that last post, here are a couple of aggregated guesses. It's harder to give when you don't see who you're giving to. This is probably why the TV commercials take such pains to show actual video of actual hungry babies / destitute families / etc. This is also probably why it is SO freaking easy for so many of us (and I include myself in this) not to see need in our everyday lives. When you are safely contained almost 24/7 in your house, your office, or your car, what opportunity do you have to notice the people outside the bubble? How the dickens are we supposed to see what our own community needs when the system has closed us off into so many coffee shops and Camrys and cubicles? We're not oblivious cretins - but we live in societies that constantly and actively segregate us from our fellow Earth-persons. It's harder to give when you feel like it won't make a difference. This is a big one. That girl I met had found a family who would take her in as long as she could provide her own food and hygiene. They would set her up a bank account and let her live there for four months while she looked for work - so it was incredibly easy to want to help her get that one crucial foothold up into a better life. Much, much harder to do that when you know that no matter how much you give the panhandler at the intersection, he'll be there tomorrow and the next day and the day after that. It's harder to give when you feel like it won't be appreciated. Taking care of your sweet widowed grandma who loves you and everything you do for her? Doable. Doing likewise for an angry, senile old bat who spits, thrashes, and screams for help every time you have to hold her down for a diaper change? That's a tall order. It's hard to feel generous when the object of your generosity is indifferent, complacent, or takes it for granted. I have no doubt that those feelings multiply with distance - when real living people are reduced to payroll deductions, or checks in the mail. It's harder to give when you don't understand the need. "Why would you have kids you can't support?" "Why can't you get a job?" "Why don't you just go to the emergency room and make them treat you?" I think this is where the Golden Rule breaks down - where we end up assuming that the person on the other end must or should have our same set of skills, values, and abilities (and that our understanding of their reality is both complete and correct.) Obviously people do make poor decisions. But it would require the omnipotence of an almighty living god to know how much to assign to bad choices or character, and how much is the result of circumstances beyond anyone's control. And frankly, most of us are hard-pressed just to figure out where we left our keys last night. It's harder to give when you are scared. Boy, isn't this the truth. It's very easy to feel safe letting a tiny 100-pound girl into your car. Altogether more difficult with a 6'5" Peyton Manning stunt-double. And on a grander scale - it's incredibly difficult not to tighten your fist when you are worried that you could lose your own security, or when you feel like there's not enough (of money or space or jobs or whatever) to go around. That's when the hoarding mentality kicks in, and generosity dies. Of course, the world is full of bright, motivated philanthropists who have not yet managed to eliminate any of these problems. But I think knowing about them, and recognizing them AS problems, leaves us far better equipped to question our assumptions and actively work against the impediments to our natural compassion. And if you read this far, thanks hugely for humoring me through this epic double navelgazing extravaganza. Regular programming resumes next time! Let he who has never eaten a cookie... cast the first block of government WIC cheese. Sometimes its a real crap-shoot when picking a Blitz target because you'll never know what they'll be posting about, but I did good this time! Folks needed to hear what you had to say that day. Oh, I absolutely did, and I imagine you are more thoughtful than you give yourself credit for (I saw how you did for Mr. Hargett - there couldn't be a more appropriate and needful time for a sudden influx of love!) Thanks hugely, regardless - I will do my part to spread the good word! So glad you enjoyed it! I'm a happy new follower. Thanks DL! Excellent follow up post, Tex. You hit a lot of great points about why it's hard to give. I do think that most people who do give try to do it where thy think it will do the most good, or where they feel a strong calling, or -- in many cases -- where it's easiest. In the first case, they give to a mom with five kids to feed rather than an apparently 'strong and able' man. In the second, they give to a charity that works to cure a disease that took their loved one instead of one that hasn't touched anyone they know. In the third, they give at church or through work rather than go and seek out other areas of need on their own. But regardless of how it's given a gift given freely and with love is still a gift. But like I posted last time, I don't think that a gift with strings or conditions is a real gift - it's an effort to "buy" something in return, even if that something is only an attempt to make the recipient something closer to what the giver wants them to be. And for what it's worth -- I'm thrilled to death that DL blitzed ya -- you deserve it! But I ain't a blitzer. DL's one of my longest cyber-pals and I greatly admire all his does, but I've never signed up for the blitz. Anyway, you are definitely hanging out with all the right people, and even though blog-commenting is orders of magnitude removed from getting fresh drinking water to destitute Burundians, it still illustrates your principle pretty well: done right, we are better, more connected people for it! The simple spiritual equation is this: The more grandma spits, thrashes and screams when you change her diapers, and if you can still do it lovingly, then more grace abounds. Simple, but not easy. Once again, Tex ... wonderful thoughtfodder. Oh, man - there's soul math involved? Theological high scores? There was a time when that would have scared the dickens out of me, but now it sounds reassuringly straightforward. You've given me a couple of excellent search strings already - I must look this up! I am REALLY late at offering my congratulations on your win at WriteClub. I'm afraid I dropped out of reading and voting in September, when I was hit with multiple projects at once -- all of which had a ridiculous deadline. I had galleys due, revisions to make, a screenplay I'm not supposed to talk about, and plus there was the dreaded day job. Up to that point, I'd been a pretty regular follower and voter. But something had to give at that point -- and blog participation was it. So I never found out until tonight who won. But I recognized your pen name at once when I saw the winner and runner up listed, and I'll tell you why. The day your entry first appeared in the contest, I was on vacation with my family, riding a train from Paris to Versailles. I was trying to pass the time by visiting blogs on my Droid phone with its supposed global plan. I could read your entry all right, but every time I tried to respond and vote, the connection failed. "Just give up," my husband said. "It's not going through." "No," I said through clenched teeth. "MUST vote. LOVE this entry." I don't know how many times I tried, but DOGGONE it, I voted for your piece before I got off that train. I am so glad you won, even if I didn't see your piece make it all the way to the top. Best of luck to you in the future! Ah, Dianne - I'm so glad you stopped by, cuz I've been meaning to say: thank you SO MUCH for hammering that comment home as hard and relentlessly as if you were trying to win radio tickets to a Pearl Jam concert. I remember seeing you mention that on your initial vote, and it just made my whole dang week - like I can't even tell you. I am so fortunate to have the enthusiasm of so many great folks, but you take passion to a whole new level. If you put that kind of zeal and enthusiasm into your own fiction, then I have absolutely got to get my hands on your books!